The Nigerian Navy, Central Naval Command, has launched the Phase Two of it’s “Octopus Grip Exercise” to further combat criminalities in the maritime domain. Rear Admiral Bello Al-Hassan, Flag Officer Commanding (FOC), Central Naval Command, performed the flag-off on Wednesday at the Warri Naval base. Al-Hassan said the operation was to consolidate on the successes of the “Operation Rivers Sweep” that was launched by the command in January. 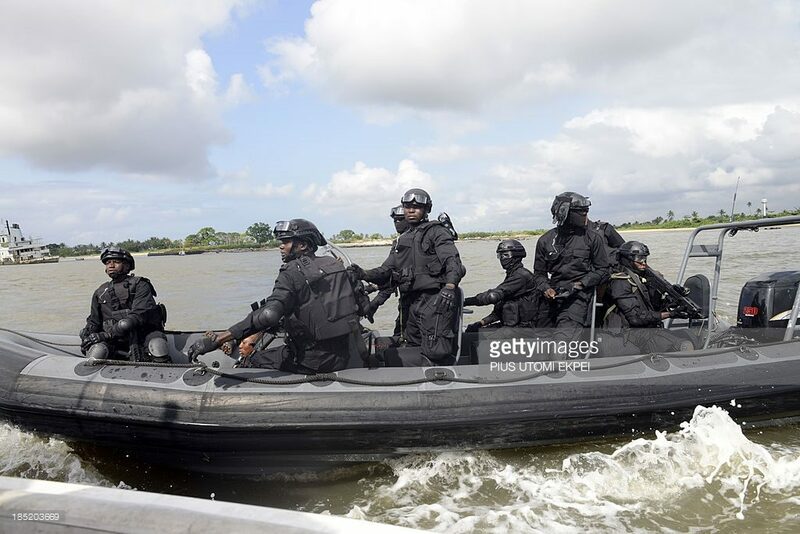 He said the 11 gunboats from the Nigerian Navy Ship (NNS) DELTA had been deployed for the operation, adding that the exercise would be going on simultaneously in other Commands. “We started the first phase of the Octopus Grip which is “sea exercise” on Oct. 30 in Onne, we are here to kick-start the phase two which is “riverine operation” in Warri. “Eleven gunboats from the NNS DELTA will be used for the exercise and it will be going on simultaneously in other Commands of the Nigerian Navy,” he said. The FOC said shortly after the flag-off, the navy proceeded to an illegal refinery camp covering about 30 hectares in Bennett Island in Warri South to destroy some illegal refineries. “We have used Swamp boogies to destroy their equipment about two weeks ago and they came back again, we are going to sustain this operation and continue to use Swamp boogies because it is environmentally friendly,” he said. Al-Hassan appealed to the perpetrators to indulge in legal businesses noting that their action was counter-productive to the economy and the ecosystem. “It is going to take a long time for the environment to be useful for meaningful farming, and again, it is also creating a lot of problem to the government in terms of stealing of crude oil,” he said. The FOC, however, said that constant use of Swamp boogies and the introduction of Modular refineries later would help to nip the menace in the bud. One helicopter was also displayed alongside the 11 gunboats at the Bennett Island.